Do dinosaurs’ internal organs rule out a link to birds? Next story in Mysteries of the Universe Why did sea monsters have long necks? 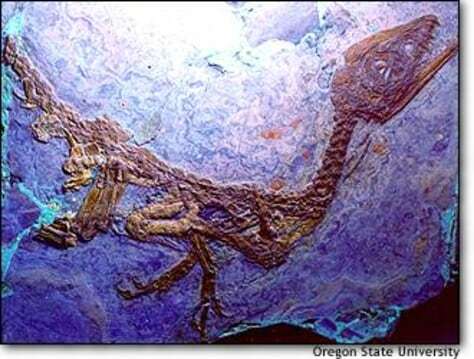 Fossilized remains of Scipionyx samniticus, a baby dinosaur found in Italy, show traces of internal organs such as the liver and intestines. By Thomas R. Holtz Jr.